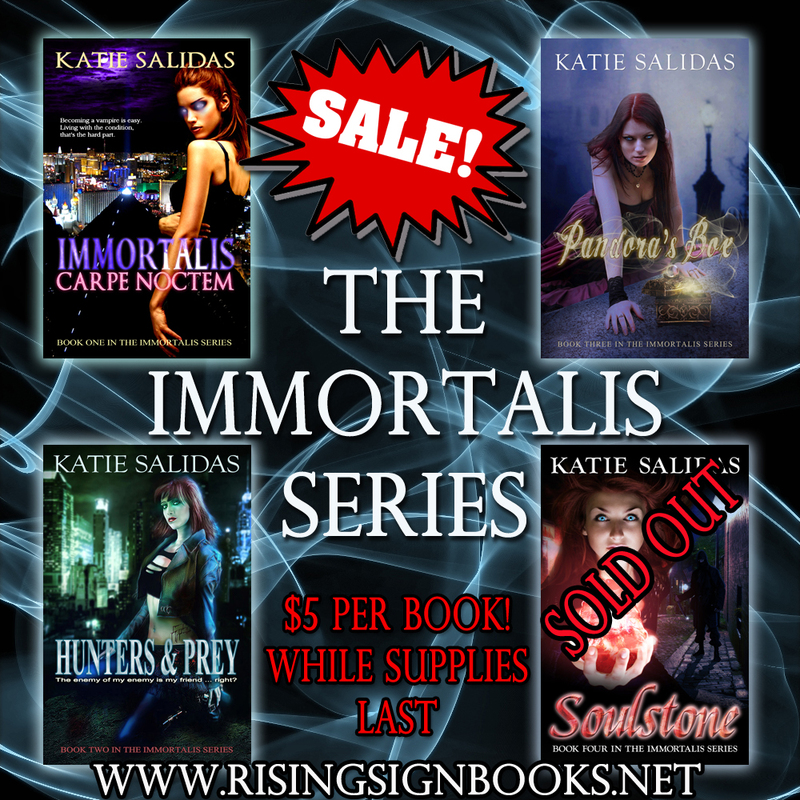 We've still got a few books left, so we're extending the sale!! 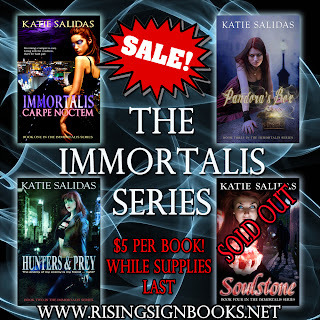 Get you Immortalis Series Print edition books for rock bottom prices. Get Immortalis, Hunters & Prey, and Pandora's Box, for $5 each. Pick up the Omnibus for only $15. We'll even gift autograph them for you. Just let us know at checkout.